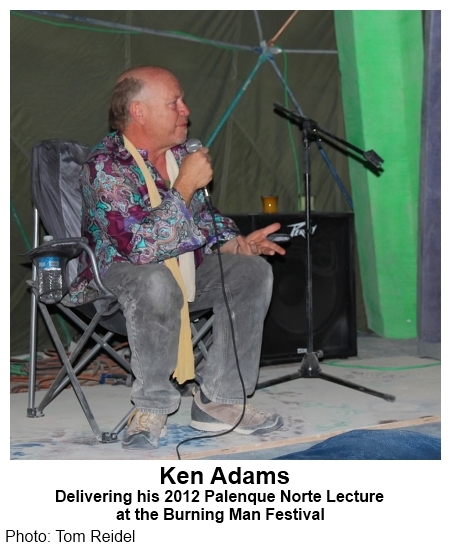 Today we feature the fifth Palenque Norte Lecture of 2012, which was given at the Burning Man Festival. This talk features the filmmaker Ken Adams, who was a neighbor, friend, and collaborator of Terence McKenna in their search for new ways of explaining the psychedelic experience. Ken is the producer/director of a new, and experimental, film titled “The Terence McKenna Experience” which features never before seen and heard raps by Terence. TerraLucida-The Terence McKenna Experience-test sequence from Ken Adams on Vimeo. Ken Adams “Producing “The Terence McKenna Experience”” – Burning Man 2012 from Palenque Norte on Vimeo. Posted in Art, Burning Man, Consciousness, Creativity, Culture, Ken Adams, LSD, Palenque Norte, Psychedelics, Terence McKenna (mp3). with 12/21/12 approaching, you got anything planned for the occasion? i like that the Occupy segment is back too. 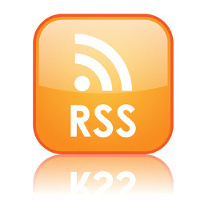 not that i thought it was ‘gone’ per se’, but that there’s great current content to relay. one thing that i kept thinking about during the Occupy segment was on those who’d come before. (this often happens with me listening to the podcasts here.) i thought about the Diggers. after the podcast was over i giggled up the Diggers again to refresh myself with their history. they’re really only very very vaguely analogous to OWS -but they did precede. “Episode #630 – The 6th Mass Extinction (And What To Do About It)” the current massive die-off of species is worse than is being talked about. it blew my mind and enlargened my perspective, even ecologically [*koff*]. have i left out the kitchen sink? Greetings from Sweden! This was a really nice talk that I think gave some more friendlier insight into the life of Terence than the one Bruce gave this summer. The image of him as a social, friendly and intelligent entertainer or trickster resonates more with for me than the one of a scientist or intellectual telling the Truth. And I really like that the occupy segment is back!